If you have a lake house or a cabin of any kind, this sign is the perfect addition to your decor. The distressed look gives it a certain authenticity and whether it is hung on a wall in the TV room or placed next to your front door under a covered porch, its charm will add character no matter where it is put. A lovely gift idea too! 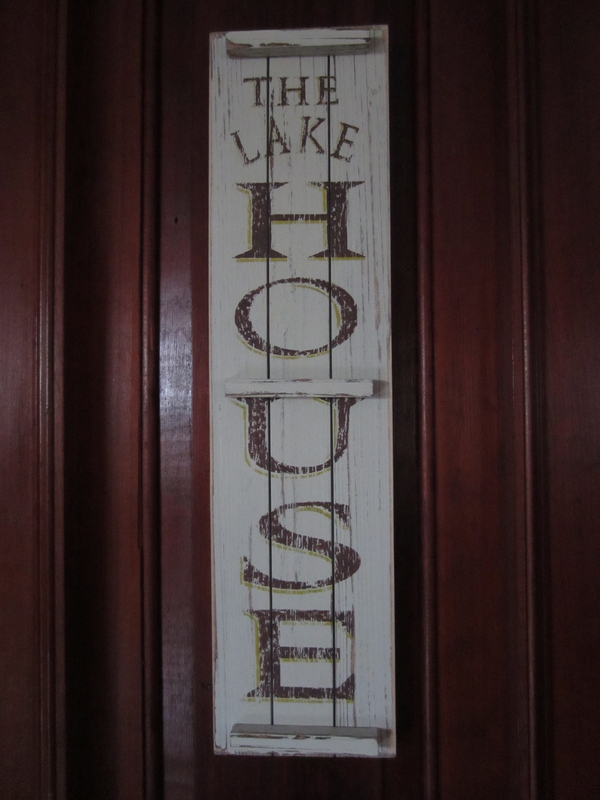 This distressed white bead board lake house sign measures approximately 6″ L x 24″ W and has a saw tooth hanger on the back. The text on the lake house sign is painted with black paint and has been given a distressed look. A great way to add character to your lake house or cabin and the lake house sign makes a wonderful gift item too!